If your reloading bench does not have this absolutely essential tool, your reloads will suffer and will make your hunting and/or competitive match turn into one very long and miserable day! There is only one very critical way to know if your reloads are within SAMI spec and that is to drop each-and-every round into a case gauge. As this gauge covers all my reloads in 9mm, .40 (or 10mm) and .45. I don't have to worry about loosing multiple gauges on my bench. Simply stated: Don't reload without it!!!! 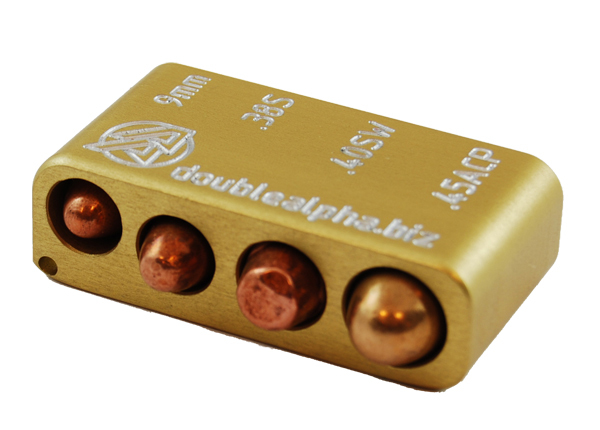 Excelente produto, prático e muito eficiente para que se destina, Doulble Alpha Academy está de parabéns !!! Parfait pour une utilisation sur les pas de tirs, mais aussi à côté de la presse. A avoir prêt de soi en permanence !! Awesome product. Glad I bought this. I load 9mm, 40 cal and 45acp. I use this to prepare for matches and keep with range bag too. Highly recommend. bon produit,indispensable pour jauger ses munitions surtout en 38 SA. 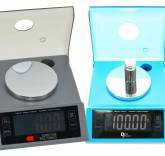 Never be without the right test gauge again! 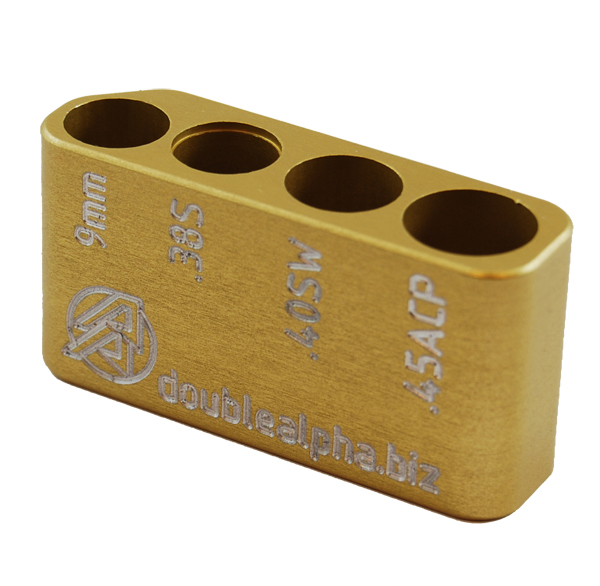 This compact 4 pocket gauge offers you all 4 popular calibers in one piece - 9mm, .38Super, .40SW and .45ACP. 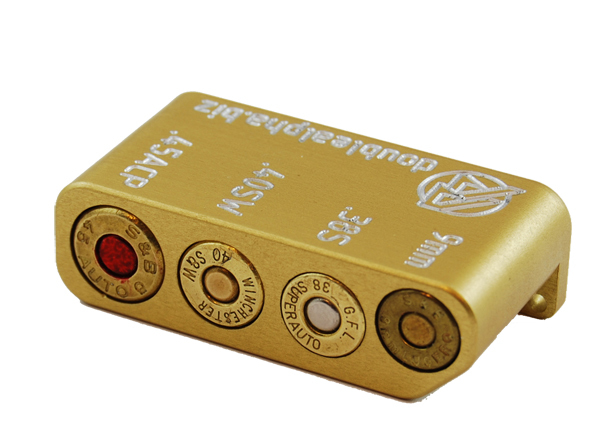 The gauge is machined from top quality aluminium and anodized in gold color. The gauge pockets are finished using Clymer chamber finishing reamers, to ensure absolute correct dimensions. It includes a small eyelet which allows you to hang it on a key chain. A must have item in every range bag!